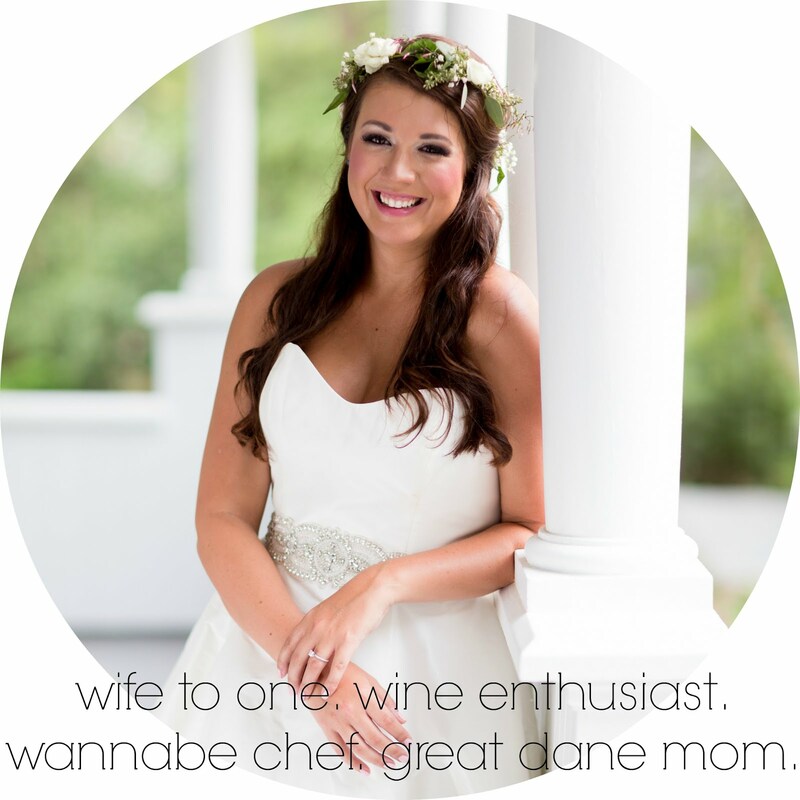 as the wine cork turns: recent paleo successes. so, i am straight up craving bread. and pasta. and cheese. but so far, paleo hasn't been a nightmare. i made i through my first weekend "paleo-ized" and i survived. i dont know that you can see results within 3-4 days, but i'll just go ahead and pretend! here's a few of the yummy things we've made so far. so simple to make. boil your portion of chicken & shred it. i cut open an avocado and scooped the remains into a bowl. added in my desired amount of basil and a little evoo, a sprinkle of salt and some chopped up tomatoes. combined together and added in the chicken. 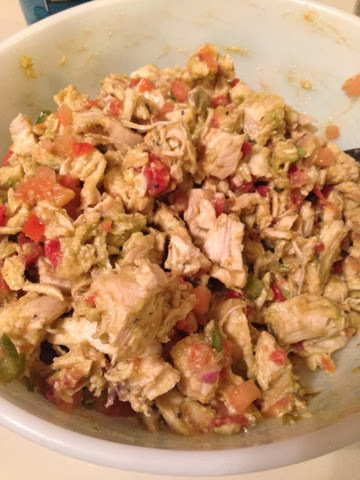 stirred it together and boom - chicken salad. i love anything with avocado. dude - so dang good. i took about 4 or 5 asparagus stalks (are they called stalks?) and wrapped one piece of turkey bacon around it. i did 5 of them. 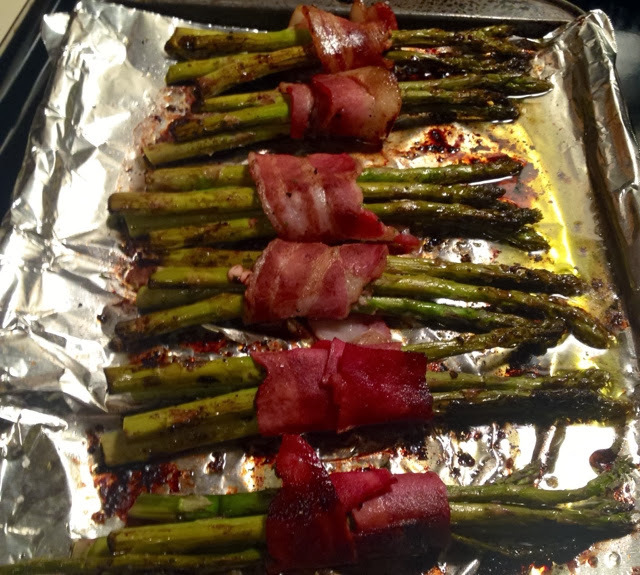 place on a baking sheet, drizzle with evoo and balsamic vinegar (my new bff). sprinkle with a bit of sea salt & pepper to taste. bake for like 10-15 mins on 350 degrees. take out, flip them, and bake for like another 5 mins or so. so these didn't completely win lee over. but hey, let's be real - they're not for everyone. anything tortilla is a big ol' no no on paleo, so if you're looking for the next best thing, look no further. 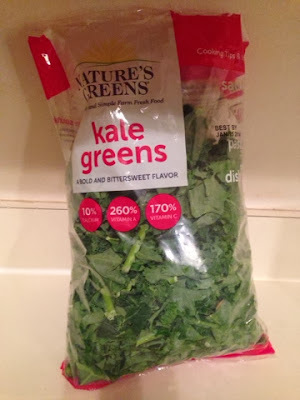 i grabbed this huge back of kale from harris teeter. 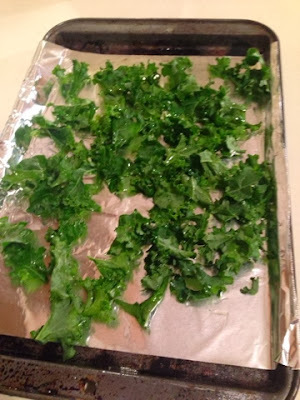 in a bowl, throw in the amount of kale you want, drizzle with evoo, sprinkle with a bit of sea salt and toss on a baking sheet. ive heard if you throw in some balsalmy vinegar, it creates salt & vinegar chips! i will try this soon. bake at 350 for 10-12 minutes or until your crispy level is reached. 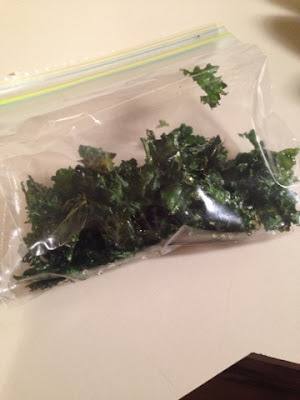 eat this day of; kale doesn't do too well the next day. again - so simple. scramble some eggs and add a dash of coconut milk for fluffiness. 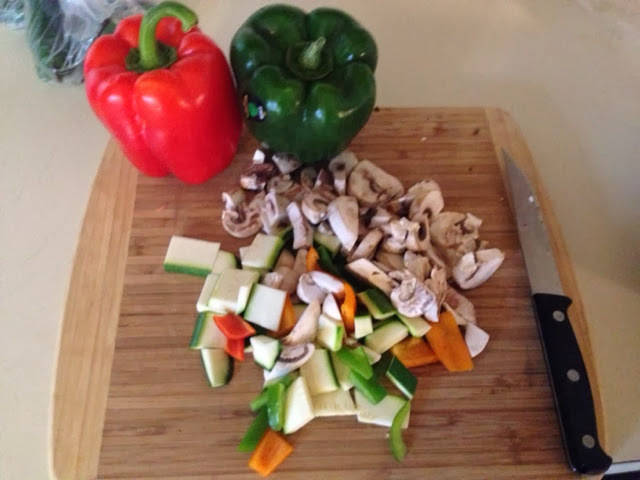 we added in some sauteed mushrooms too. 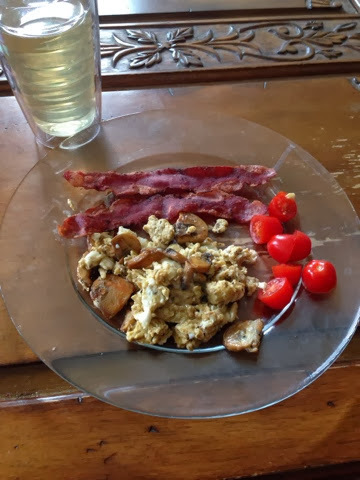 turkey bacon and some halves of grape tomatoes. green tea to drink. easy peasy! who says healthy can't be delicious? 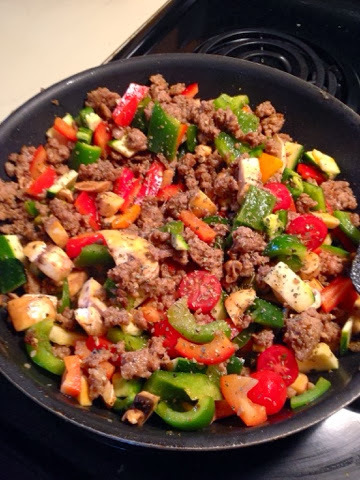 brown some sausage, cut up your fav veggies, drizzle with evoo & balsamic vinegar and use your favorite spices to taste. we used zucchini, yellow peppers, red peppers, green peppers, tomatoes, & mushrooms in ours. lee added in jalapenos at the end - which i will omit next time. my mouth was on fire! I love the simplicity of paleo. so easy a caveman could do it! get it? they call this the caveman diet. is a joke still funny if you have to explain it? anyway, how about you? know any good paleo (or related) recipes that you love?